Who likes chocolate and Oreo cookies? Everyone? Oreos taste even better when they have been dipped in rich, Belgian chocolate! Gourmet Gift Baskets has put together this beautiful box of chocolate dipped Oreo cookies for Father’s Day. They also do similar Oreo boxes for other holidays and special occasions. The Oreo® Cookies for Dad come packaged in a specially made box. 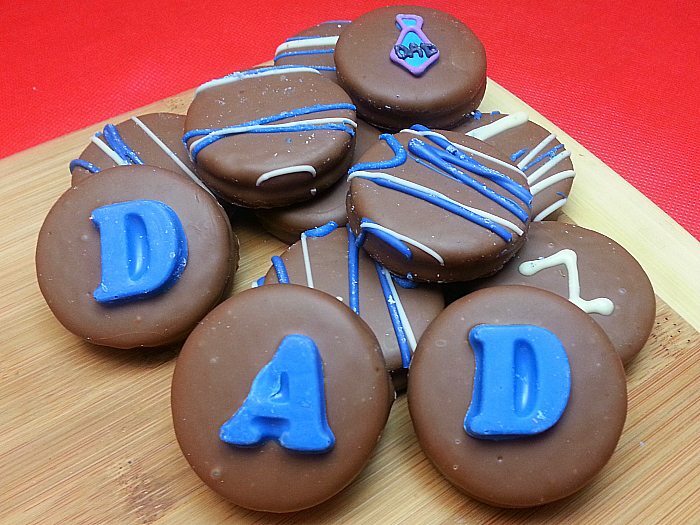 The cookies spell out #1 DAD as a greeting for your Dad, Grandpa, husband or another man who has made a difference in your life. 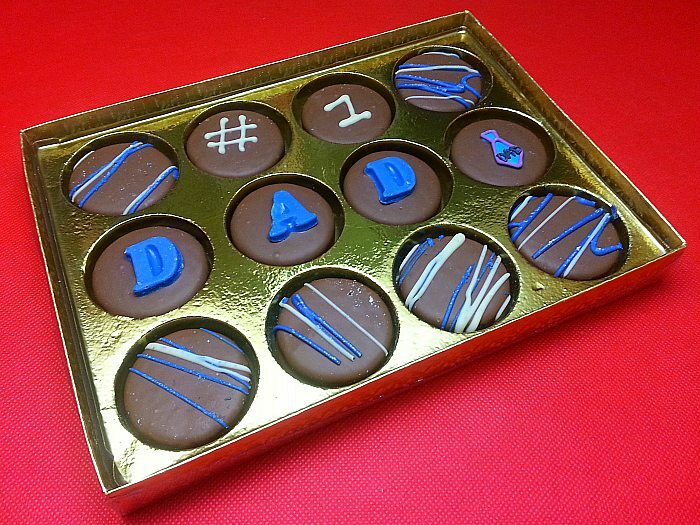 If you’re lucky, Dad may even share some of these delicious treats with you! 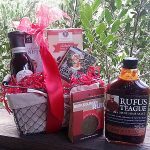 In addition to this Father’s Day gift, GourmetGiftBaskets.com has Beer Bucket gift baskets, Fishing Gift Baskets, Popcorn Tins, Chocolate Dipped Berries, Cake Pops, and more. 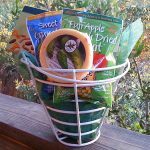 What type of gift basket would your dad like to receive? My kids and husband would so enjoy this! Just enough for sharing in our small family… thanks for the chance! Would love to win this today. Happy Father’s Day to all the Pops out there. I want to win chocolate. These Belgian Chocolate Dipped Oreo Cookies would be fantastic to take to a party! 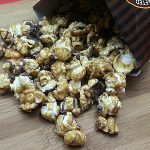 My family would love to try these treats. 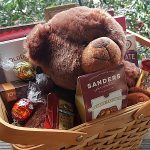 My last chance to win this prize for the best Dad in the world!!! Fingers crossed!! Our whole family would enjoy these..YUM!! These cookies look delicious. You cannot go wrong with Oreos and chocolate. My husband would love these Gourmet Gift Basket dipped Oreo style cookie treats. They look wonderful. My son has a sweet tooth and he would really like these for Father’s Day. This is a very tasty giveaway today! Thanks for bringing us the Belgian Chocolate Dipped Oreo Cookies giveaway. I would love these today! 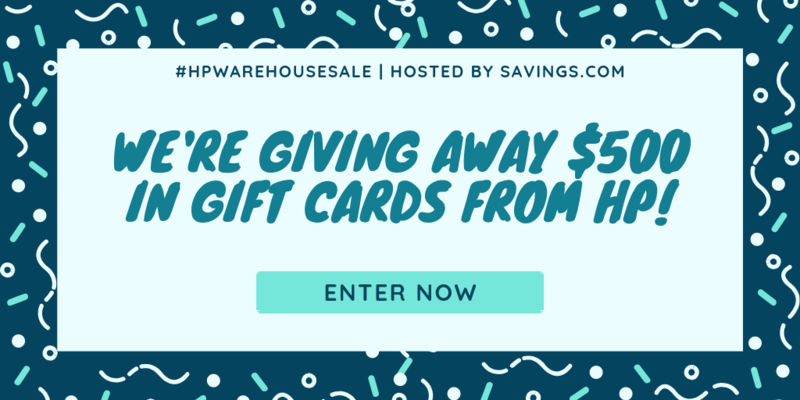 Delicious giveaway, I’d love to win. Extra chocolate on Oreos sounds so fabulous. These look so good and my dad would love these. My Dad would really enjoy getting this as a Father’s Day or even a birthday gift. *groans* ohhh man those look divine… they would be massively enjoyed by my family, you can be sure of that! I want…no need these cookies…YUM! These cookies look very tasty. Thanks for the great giveaway!